In angling, nothing can cause greater frustration than the realization that no matter what you might throw a predator’s way, they ate earlier and even if you literally drop it on their nose, they just refuse to take notice. So, after all my encouragements previous, you are getting darned sick and tired of all the ‘feasting’ while you experience ‘famine’. There are some simple, yet quite complex reasons for this irony. Let us break some of them down to the pragmatic level and see if through this knowledge we might stimulate a bit of creativity and hopefully, gain you some luck where it was lacking to this point. The heady days of spring are far behind us. The forage was quite limited, the predators quite focused and your efforts to gain attention to your offerings brought you some productivity that kept your passion keened at an edge that maintained your learning curve. 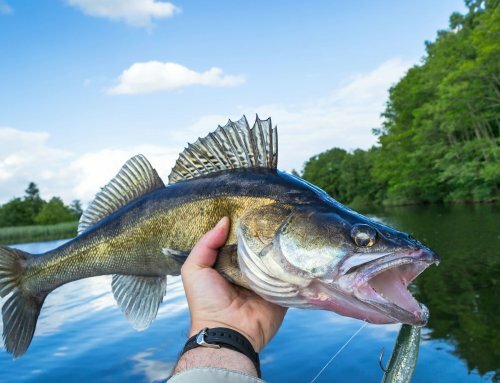 Now, and quite suddenly, you are fostering some doubts and as any experienced angler will tell you, they are well warranted this time of year. There is just too much forage! As the cycle of life heats up the level of food is dependant upon so many factors affecting a particular environment from water levels, dissolved oxygen, fertility of that particular body of water and pressures to the ‘food supply’ right down to the microbial level. This balance can get skewed with just one change in the chain. How we react to this will be a factor that will determine our time on the water and the level of gratification we might achieve. So, what are they eating? 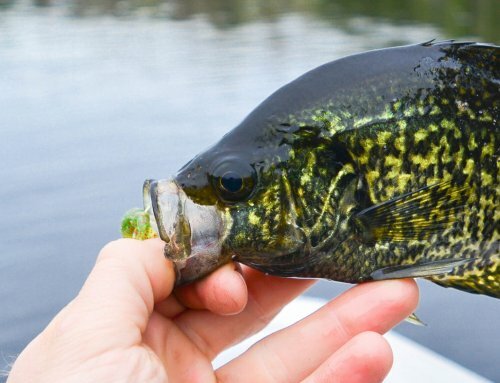 Fish are opportunistic and will take advantage of the forage offered whenever they have a mind to…a few times a day. I’m sure you’ve heard of the solunar tables. These are scientific charts that feature the major feeding periods on any particular day that takes into account many factors. They can be helpful to a point but are not the focus of our discussion. I bring them up only to point out that if you are dangling a worm below a bobber two hours after the dinner bell, chances are pretty great that you are drowning him while small bluegill nip at his edges causing your bobber to dance, ever so slightly, forcing you to wonder if there are any fish within sight of your offering worthy of your efforts. So, in a 24-hour clock, there are four feeding periods, each lasting roughly an hour. Which leaves twenty hours when they are…not. As summer progresses and the metabolism kicks into high gear these periods can stretch a bit and opportunism can cause a strike outside this period, you still must contend with the fact that they most likely have fully distended bellies and your worm is no enticement whatsoever. In other words, it is our mindset that needs a bit of re-tooling. Here’s a quick lesson in paradigms – for you to consider. Fold your hands. Which of your thumbs is on top? After taking note of this fold your hands so that the ‘other’ is now the one on top. Feels strange? This is the comfort level we are discussing here. We must constantly be willing to mix things up when our level of gratification is suffering. If you keep this one thing in mind while angling, your chance of success will be greatly enhanced. You will become more cognizant of this and be all the more willing to quit the tried and true and mix things up a bit. Once while fishing for white bass with my oldest daughter, we were happily slaying them as the feeding frenzy caused the water to boil from their activity. As things began to slacken and we weren’t catching one on every cast, I grabbed one of my other poles that was rigged with a hellgrammite imitation. That little black bug in the middle of all those minnows suddenly became a focus for those whites. Why? We could speculate. My guess would be they saw it as a rare opportunity and struck at it due to the contrast it represented. There will be other times when you MUST match the hatch but luckily for us, this was not one of them. Our ability to change the presentation made those extra hook sets possible. So, there we were on a steaming summer day, my daughter switched to a Sassy Shad and immediately got into more hook-ups. The only reason we quit was due to the fact that we were dying of dehydration! I have gone back to that exact spot but never have I been able to duplicate that experience we shared together. And, so it goes. So, you’ve got your rigs out there and the worms aren’t performing like they should and your only recourse are the plastics we’ve discussed in previous conversations. There are some things worthy of consideration. Pay attention to two things. Cover and structure. They are not the same thing. Though some cover can be structure, not all structure can afford prey, cover. With this in mind, it may assist you in determining where you might make your next cast. What to throw can also be determined by one more thing; it’s called transition. This is the area where fish ‘travel’ in order to find what they need. Certain comfort occurs and will be determined by some factors worthy of note. Water temp and dissolved oxygen, forage and safety, light levels and depth to name a few. All of these factors will be affected by time of day as well as the time of the season. 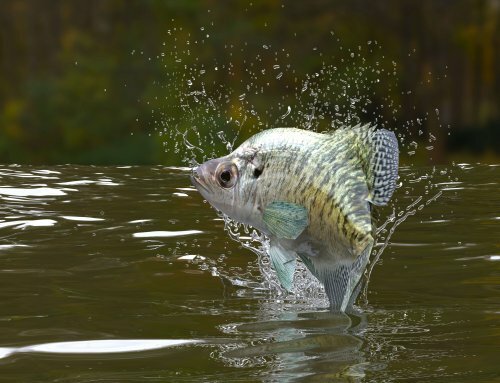 If you limited out on crappie in the spring in two feet of water, chances are quite poor that the same spot is worth your efforts in early August. But, just a couple of feet deeper in the early morning thanks to low light and proper temperature, the bait fish just might move up to the drop off of that same flat and hence, the chances of finding some of those same crappie will be enhanced. You broke your paradigm and took note of the situation and by altering your efforts oh, so slightly, were able to achieve a small victory. Try the same spot at noon with temps in the 90’s? Are you starting to see the point? So, comfort and security are worthy of your attention concerning your efforts. Those bait fish were not willing to move all the way up on that flat no matter the enticements. Escape being paramount…their sense of vulnerability in this high metabolism, high stress fight for survival is sharpened and their instincts force them deeper into cover wherever they might find it. All the way up on that flat at the same daybreak period, you might possibly throw that worm, or a crawdad imitation and find a rogue beast that is way too willing to take advantage. If nothing happens within a few casts, time to move on. The shallower the water, the more cautious they will become. Timidity due to angling pressure must also be considered this late in the season. If you’re stomping along the bank throwing minnows below a bobber like everyone else my guess is you won’t fare very well. Whenever I’m bank fishing and someone starts a ruckus I vacate the spot quickly. If you’ve ever heard the story of Pavlov’s Dog, you’ll understand why. I want my presentation to offer something that they seldom see and will not tolerate once they do. Presented in a fashion that left no clue to my presence. 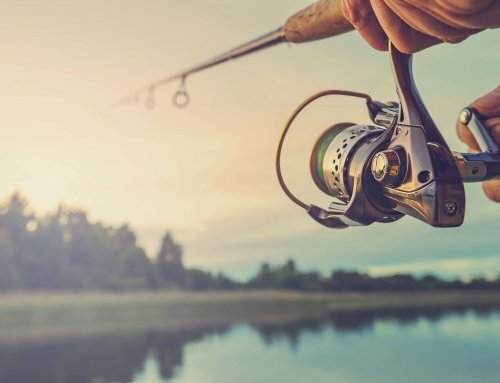 If you fish a pond that gets hammered on the weekends, but you’re the only one there in the middle of the week, you will catch one, two and possibly a third standing in one spot. But, due to the pressure, I don’t care what you throw from that moment on; chances are not that great for a fourth. Once they have sensed your presence your chances diminish greatly. If you’ve ever wondered why the catches are so much greater up in the boundary area, look no further than this fact; the pressure is greatly decreased and even a novice can do quite well. 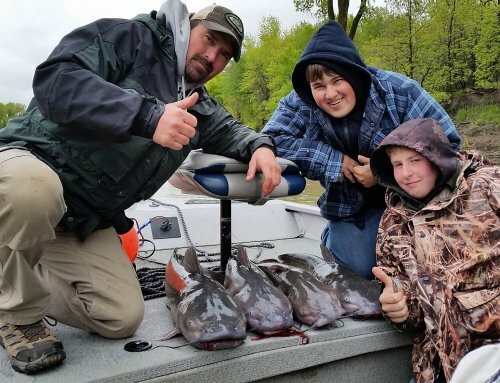 This is a fact: Iowa has the greatest pounds of fish per acre-feet of water than anywhere. You can look it up! But, with that said, the pressures are greater and can cause frustrations uncountable. The trick is to doing things a bit different and even better than the other novices making the attempt. You will greatly increase the odds to your favor by knowing these simple truths. So, in short, remember to keep it simple, as we’ve discussed in the past. Be willing to adapt from determinations you’ve gleaned over a period of a few casts. The fish are adapting and so should you! Take note of forage in numbers; try to match it and if that does not produce attempt to offer something that will raise their curiosity and quite possibly induce provocation even with a gullet full of minnows. A soft body crawdad imitation gained me that perspective on several occasions. 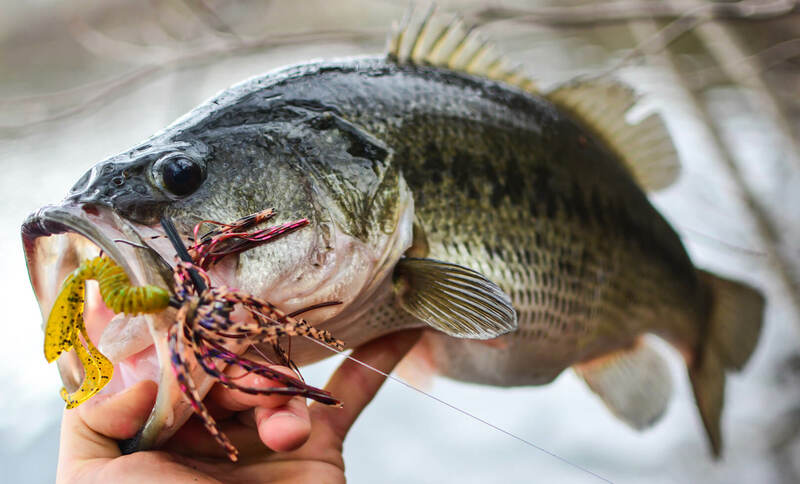 Remember to break your paradigms and know that the more you are willing to offer variety that the last angler failed to offer before vacating that spot might just be the ticket to a fish fry. Don’t be afraid to change the variety of your presentation just a tad. Remember, vibration is the key and sometimes, just by switching out that twister tail so that the tail flutters ‘up’ as opposed to ‘down’ can produce results you quite easily could have passed on if you’d failed to make the attempt. Whatever you do, don’t give up. The very next idea, the very next alteration to your offering as you make just one more cast could quite possibly determine whether you experience feast, or famine.